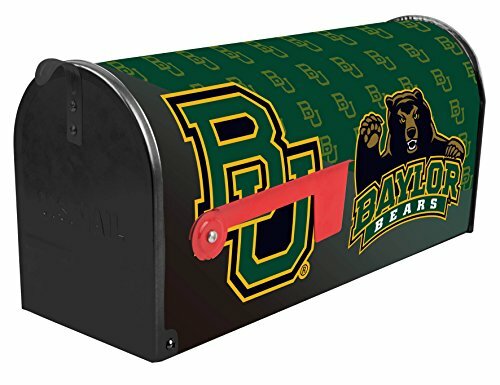 The Sanity International 25-115 Baylor University Mail Box is unique and has an exclusive design. 19-inch Durable Steel Mail Box. Heavy duty Steel latch and Aluminum Flag. Durable Powder Coated Finish Resists. The Sanity International 25-115 Baylor University Mail Box comes with a life time warranty. Sanity International has over 30-years experience in dealing with hand tools, power tools accessories and automotive accessories. It has always been Sanity International's primary target to supply high quality products at a competitive price and to provide a satisfying service. Sanity International has received ISO9001:2008 certification to meet the standard of international manufacturing and service. If you have any questions about this product by Sainty Art Works, contact us by completing and submitting the form below. If you are looking for a specif part number, please include it with your message.